Today I offer the second contribution in a series here on Scale Model Soup that I call "Other Voices." Lee Carnihan offers a look into what makes scale modeling so engaging to us, looking back to the days when toy soldiers and model railroads held a special intrigue in our young minds. As we mature in the hobby and increasingly take our subjects more seriously, I think it's important to not lose sight of the excitement we felt as children,and to indulge in a bit of nostalgia from time to time to reclaim it. From childhood to older age, most men never lose their fascination with models – whether it’s constructing, painting, assembling, or even just looking at them. From showpiece Spitfires to ships in bottles to military battle scenes to miniature cars, we can all connect to the enjoyment, relaxation, and craftsmanship of “playing” with models. Model miniatures have a way of taking us back to early childhood memories, sparking our interest in history and encouraging us to admire the craft of modelmaking. Take a few minutes to look over the paintwork on a miniature vintage car model and it’s likely to evoke some kind of memory – maybe unwrapping your first toy car or playing with it for hours? Ok, so we’re not all into cars. Maybe you remember the thrill of opening a new Airfix kit, taking out the grey sheets fitted with intricate parts, and carefully examining (or discarding!) the instructions before starting to build. It’s a pastime that has been passed down from generation to generation, regardless of the many digital distractions these days. 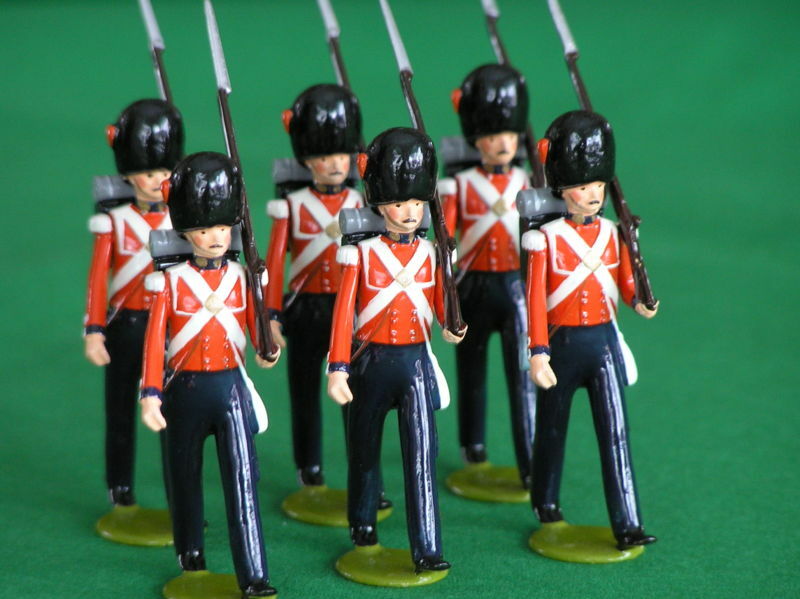 Military miniatures still have a huge following, and they are just as popular today as they were before the rise of war-based computer games. From classic handcrafted models to brands like Warhammer, military figurines provide endless fun, not just from the design and painting but also from setting them up into battle scenes and bringing the action to life. Don’t tell me you’ve never walked past a Warhammer store without looking twice! So how come real models are so popular when there are loads of exciting live-action options (World of Warcraft and the like) to distract us fantasy enthusiasts, history buffs, and geeks? The answer is simple. It’s an affordable hobby that can be enjoyed for life and passed down through the generations and never fails to create a welcome sense of nostalgia. For the older generation, some who fought in a war or heard family stories of war, painting military models is a way of keeping those memories alive. For others, it’s about remembering the models they played with when they were younger, or enjoying a collection that once belonged to their father or grandfather. As cool as they are, computer games just can’t compete when it comes to delivering a good old dose of nostalgia. Building and painting models also offers a sense of accomplishment and gives the painter the freedom to create any scene with his finished models. Computer games are great for immersing yourself in world of adrenaline and explosions, but painting military miniatures is a relaxing exercise in discipline, concentration, and interpretation, allowing the painter to explore the scene in detail and express his creativity – arguably a more rewarding venture. Some people assume that model train sets are only for children under the age of 10. But the detail and artistry that goes into researching the scenes, painting the backdrops, creating the scenery, and building the sets means that model railways are still a hit with people of all ages. And now with Digital Command Controls to operate the set, they’re becoming more impressive than ever. 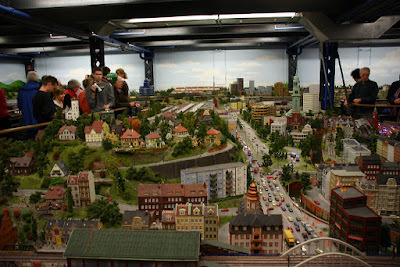 One of the largest model railways in existence is at Wunderland in Hamburg, Germany, spanning more than four square kilometres. Building it required more than a few pairs of hands and some serious elbow grease. It took 500,000 hours to create! Running through model villages and rolling hills, it’s like the Holy Grail for train enthusiasts, inspiring many men to rush out and upgrade their own kits with realistic details and add-ons. For most of us, playing with model railways is a way to relieve stress, indulge our interest in trains, and flex some creative and problem-solving skills. Working with models is a real craft, whether you’re putting them together or painting them. It requires concentration and creativity, which in turn helps you relax. The stress-relieving benefits of creativity has been widely acknowledged by scientists and mental health therapists – most recently with the sustained popularity of adult colouring books, which dominated Amazon’s bestseller book list last year. If you like the idea of building your own model but don’t think your creative skills are quite up to scratch or can’t seem to find quiet time alone, then perhaps an out-the-box model is a better option. You can find all sorts of valuable models, gadgets and toys, like remote-controlled drones, helicopters, planes or boats, by rummaging around jumble sales or specialist shops. You never know, you might discover your new hobby! Indeed, there is a stong sense of nostalgia attached to model making for me. Whilst I started very young with Airfix, Frog, & Revell kits it was really in the 70s with the Monogram armour kits and the Shep Paine diorama leaflets that I really got more involved with modifying, scratchbuilding, and weathering. That was my "Golden Age", I suppose. Funnily enough, there IS something akin to this with computer games. Gamers old enough can hark back to the earlier days and the games, as primitive as they may now seem, that still elicit a certain fondness. Just like our early efforts with model kits these games may be a bit rough around the edges, but they are part of our history.